Getting back on the ship, I went back to the cabin and took a brief nap. All of this excitement definitely wore me out a bit. 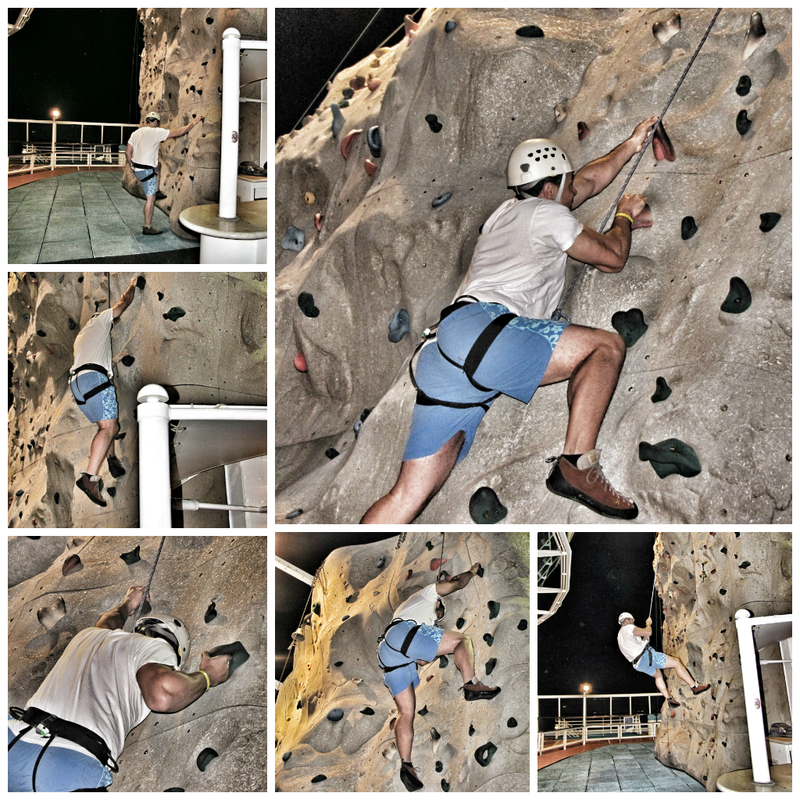 When I awoke, my friends and I decided to visit the climbing wall for a few rounds of fun. The first time up, we just did it freestyle. The second time up, we chose a particular color, which quickly limited the options for scaling the wall. The third time up, we made it even more challenging by removing the option to use any colored peg for our feet. As a result, we had to use ONLY naturally occurring spots in the "rock." Wow! Let me just say, that LAST time was a doozy (laughing). I almost didn't make it because my forearms were on FIRE. Do you hear me? FIRE! The last, and I do mean last, stretch almost broke me, but I paused at the top, took a few moments to breathe, and then BAM! I stretched, while using every last ounch of energy and strength to ring the bell. Wow! I let go in pure exhaustion and just coasted down hands-free. Amazing experience! Maybe one day, I'll do it on a REAL wall somewhere. A day isn't wasted when a memory is created!